Situated in a rural location, this luxury bed & breakfast is within 12 mi (20 km) of Hallerbos, Avenue Louise, and Genval Lake. Universite Libre de Bruxelles Solbosch Campus and Museum of Zoology and Anthropology are also within 12 mi (20 km). Waterloo Station is 24 minutes by foot and Braine-l'Alleud Station is 27 minutes. Warwick Brussels is a 2-minute walk from Brussels City Hall. Guests can stroll 2 minutes to Central Station, which offers metro lines to all of Brussels and trains to other areas in Belgium. 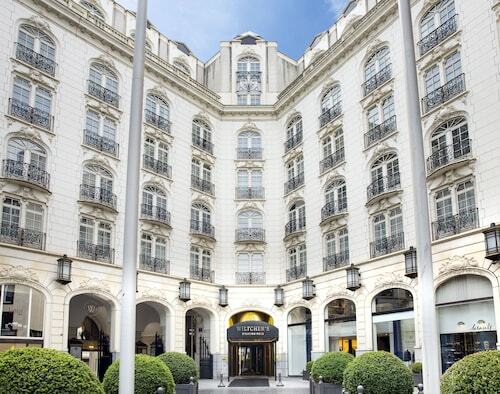 Just 450 meters from the Grand Place and 200 meters from Manneken Pis, this central Brussels hotel is also easily accessible from all major business areas of the city. How Much is a Hotel Room in Braine-l'Alleud? Hotels in Braine-l'Alleud start at $58 per night. Prices and availability subject to change. Additional terms may apply. If you're roaming through Walloon Brabant and decide to spend some time in Braine-l'Alleud, as a well-read traveler, you would be wise to book in advance through Travelocity to make sure you secure the best place to stay at. With 7 accommodations on Travelocity within a 6-mile (10-kilometer) sweep of the city center, it should be a breeze to find something that suits your needs. 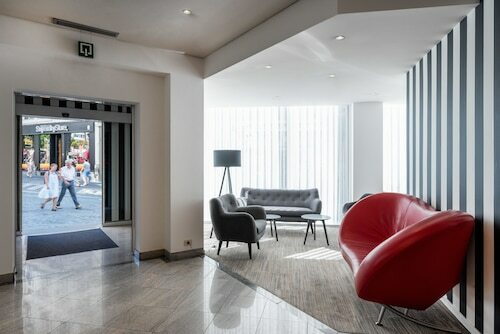 When you and your family need to stay within a 3 miles (5 kilometers) distance from the downtown precinct of Braine-l'Alleud, the ibis Brussels Waterloo is an excellent hotel. 12 miles (19 kilometers) outside of the middle of Braine-l'Alleud, you will come across the Rocco Forte Hotel Amigo. 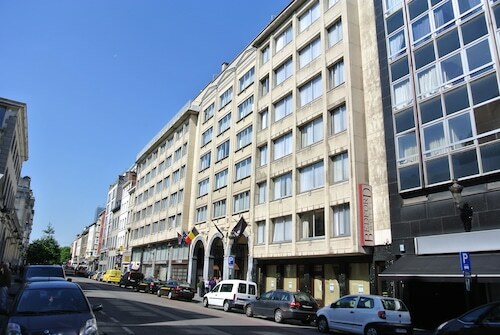 The Value Stay Brussels Expo is 16 miles (26 kilometers) away. 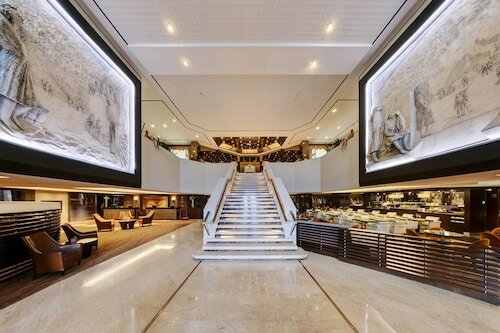 Some other possible hotel options include the Hotel Manos Premier and the Steigenberger Wiltcher's. Like to venture a little further afield? Walloon Region offers many impressive attractions worth seeing. Walloon Region is marked by rural landscapes, forests and rivers. Commonly visited holiday sights include old towns and cathedrals. In this fascinating part of Belgium adventurous visitors can partake in skiing. 11 miles (17 kilometers) to the east of Braine-l'Alleud, you can reach Wavre, which is home to Golf du Chateau de la Bawette and Walibi Leisure Park. 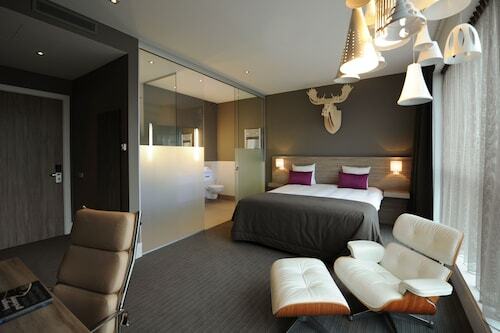 If you'd like to spend any time in Wavre, check out the Best Western Hotel Wavre and Leonardo Wavre Brussels Est. 6 miles (10 kilometers) northeast of Braine-l'Alleud, you may also choose to stay at La Hulpe, home to the Dolce La Hulpe Brussels and Des Heures Claires. The Chateau La Hulpe and Folon Foundation are more popular places to discover should you visit La Hulpe. Simply because you and your traveling partners are visiting somewhere new, doesn't mean that you can't fuel your obsession with a day watching sports. Olympic Stadium is 35 miles (57 kilometers) to the north of Braine-l'Alleud. Anybody that hope to find a room or apartment near to the action can choose from the Hotel De Witte Lelie or the Hotel 't Sandt Antwerpen. For those travelers arriving or departing via Brussels Natl Airport, you may choose to book Travelocity-listed rooms at Sheraton Brussels Airport Hotel, or NH Brussels Airport, which can both be found a short distance away. Very clean and convenient location to airport. Slow and understaffed for check in, very rude on check out. In general, staff at restaurant were pleasant, but front desk was not at all welcoming. Location was great. No coffee maker in room was a minor thing in the grand experience. I was immediately impressed with the prime location, friendly staff, and cleanliness of this hotel. HIGHLY RECOMMEND! Thank you for being so kind and welcoming during my stay! 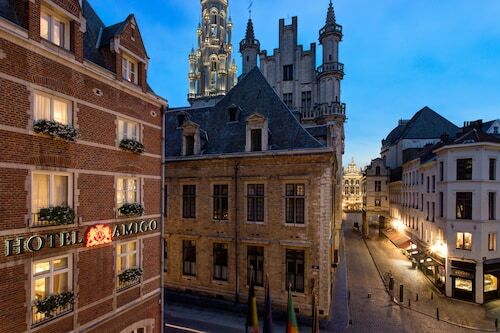 Great hotel - walking distance to the best part of Brussels!